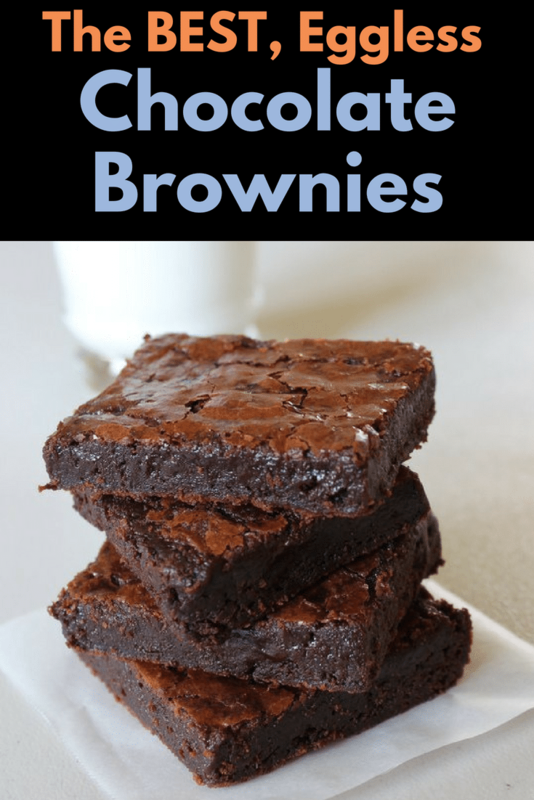 Eggless Chocolate Brownie Recipe – Fudgy, chewy brownie made from semisweet chocolate and applesauce. 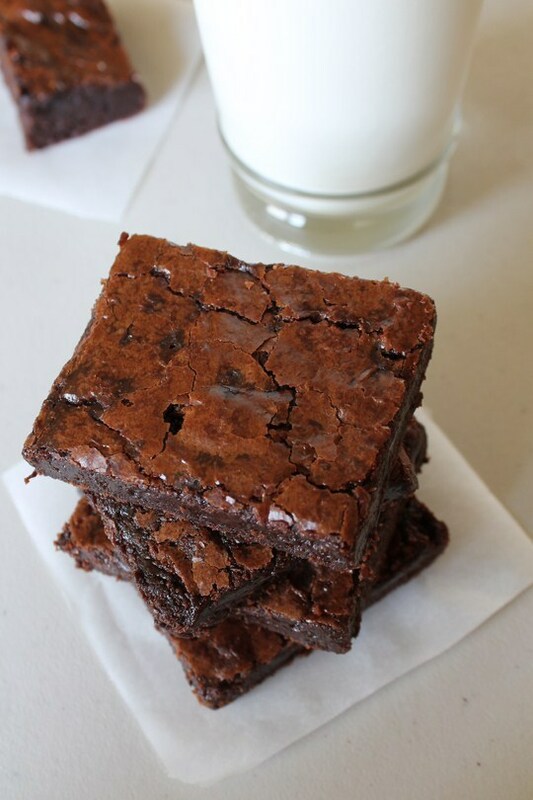 Enjoy a piece of brownie with a glass of milk. I have used applesauce to make it moist and as an egg replacer. If you remember then I have used applesauce in eggless strawberry bread and eggless applesauce bread. I have tried so many eggless brownie recipes, and I have failed so many times. After doing so many experiments, finally I come up with this recipe. This is fudge like brownie. 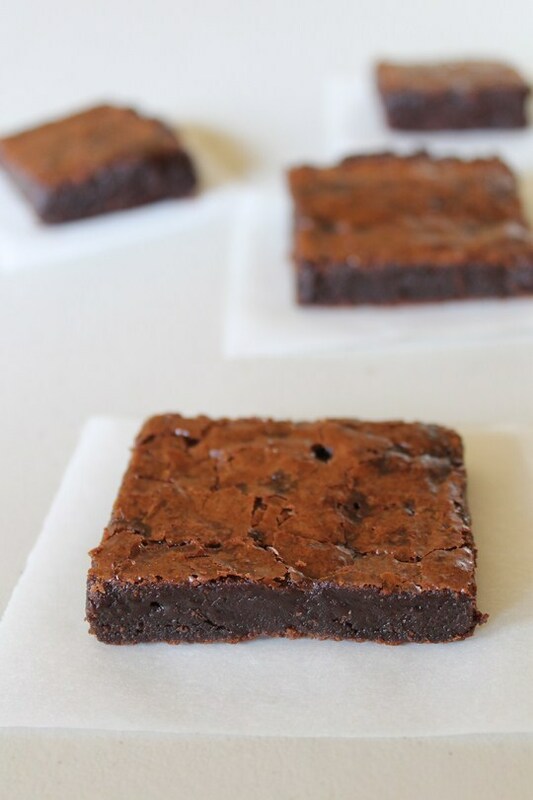 It is moist, chewy, gooey and very chocolaty Brownie. Here is the picture below with comparison of failed and successful experiments. The failed one was very dry and crumbly. But this one is very moist and fudgy. I have used lots of chocolate to make this eggless chocolate brownie more chocolaty and that’s why you won’t taste applesauce in it at all. I asked my husband to taste this brownie and he loved it. Then I told him that I have used applesauce in it and he thinks that I am joking. 1) Preheat the oven to 350 degree F or 180 degree C for at least 10 minutes. 2) Lightly butter or spray with non-stick cooking spray 8×8 inch baking pan. Line it with parchment paper with sides up. So it will be easy to lift up after it bakes. Again butter or spray the parchment paper. 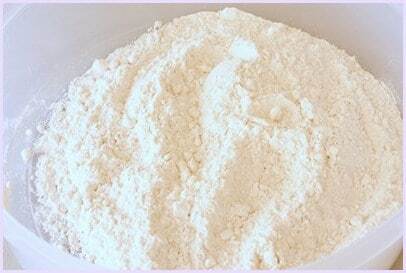 3) Take all purpose flour, baking powder, baking soda and salt in a bowl. 4) Mix it well and keep it aside till needed. 6) After that it will look like this. they are melted but by look they are not melted totally. 7) Then whisk it with wire whisk till it gets smooth. 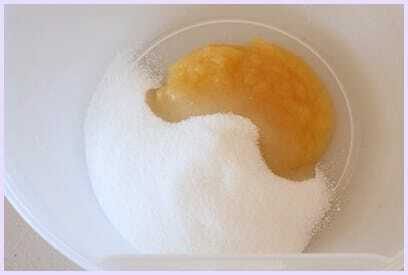 8) Take apple sauce and sugar in large enough bowl. Whisk it till sugar dissolves. Then add hot water and vanilla extract. Mix it well. 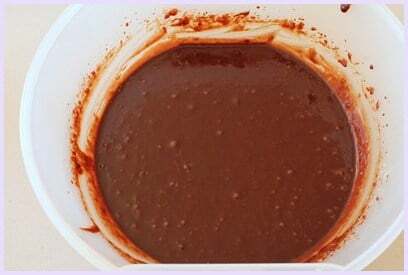 9) Then add melted chocolate. 11) Then add dry ingredients. 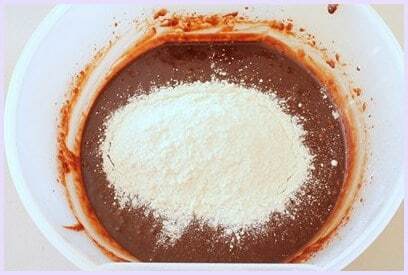 12) And mix it with spatula till combined. 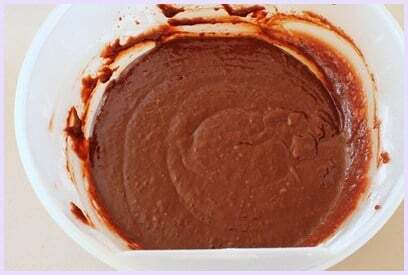 13) Pour the batter into prepared pan. Even it out with butter knife and tap the pan on counter top few times to get rid of air bubbles. 14) Bake it into preheated oven for 25-30 minutes. Check it by inserting a toothpick in the center and it will come with few moist crumbs. 15) Let the brownie cool completely in the pan on wire rack. As it cools it will deflate a bit. But don’t worry it is perfectly fine. 16) Then pop it into the refrigerator for 1 hour before cutting. 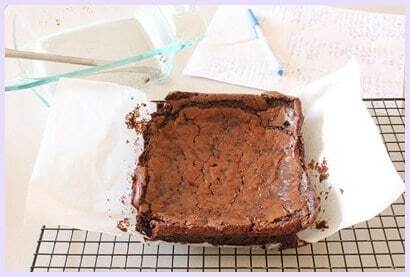 17) Then remove brownie out of the pan with the help of parchment paper. 18) And cut them into 9 equal pieces or as per your desire size and serve. 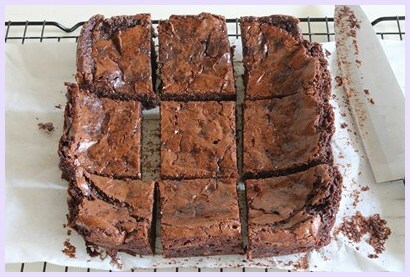 If you love chocolate then I am sure you will definitely like this eggless chocolate brownie. So what are you waiting for? Write down needed ingredients in grocery list, shop them this weekend and make it for this valentine day. Serving suggestion: I would like to serve them cold just right from the refrigerator. I like to bite into them as it is. You can serve it with ice creams. 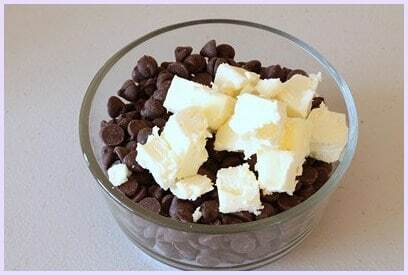 Chocolate chips – Instead of chocolate chips, you can use 8 oz Semi-sweet chocolate of your choice. 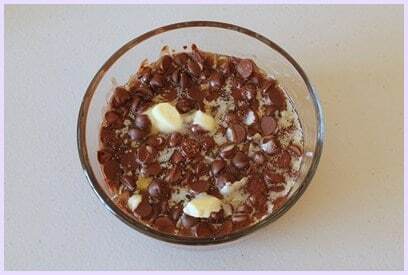 I had some Hersey’s chocolate chips sitting in my pantry and I wanted to use that so I have used that. 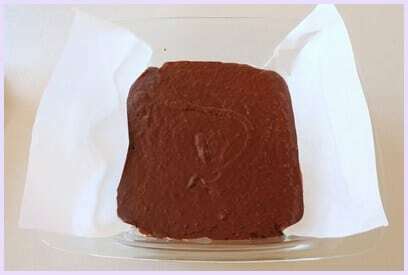 But semisweet chocolate bar will also works perfect for this recipe. Applesauce – I have used store bought applesauce. But you use homemade too. Let’s quickly go through how to make applesauce at home: peel, core and cut 3 medium apples. Cook them with 6 tablespoons of water on low heat till cooked (about 20 minutes). Mash it with potato masher until it gets smooth. Always preheat the oven for 10 minutes before baking at mentioned temperature. 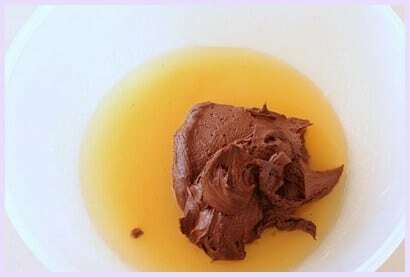 While melting chocolate, be very careful because they melt fast. If chocolate burns then it doesn’t taste good at all. 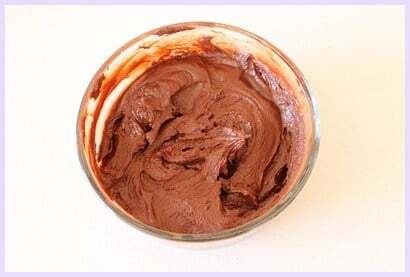 Do not whisk the brownie batter too much. As we don’t want to get air into the batter. If it gets airy then its texture is cakey not fudge like. 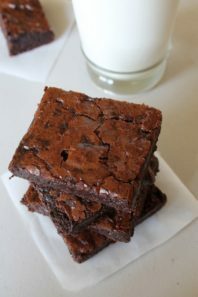 Eggless Chocolate Brownie Recipe - Fudgy, chewy brownie made from semisweet chocolate and applesauce. Preheat the oven to 350 degree F or 180 degree C.
Lightly butter or spray with non-stick cooking spray 8x8 inch baking pan. Line it with parchment paper with sides up. So it will be easy to lift up after it bakes. 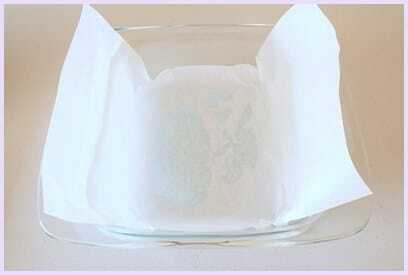 Again butter or spray the parchment paper. Keep it aside. 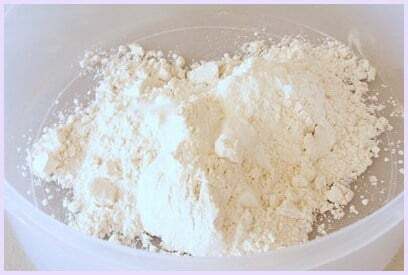 Take all purpose flour, baking powder, baking soda and salt in a bowl. Mix it well and keep it aside till needed. They are melted but by look they are not melted totally. Then whisk it with wire whisk till it gets smooth. Take apple sauce and sugar in large enough bowl. Whisk it till sugar dissolves. Then add hot water and vanilla extract. Mix it well. Then add dry ingredients. And mix it with spatula till combined. Pour the batter into prepared pan. Even it out with butter knife and tap the pan on counter top few times to get rid of air bubbles. Bake it into preheated oven for 25-30 minutes. Check it by inserting a toothpick in the center and it will come with few moist crumbs. Let the brownie cool completely in the pan on wire rack. As it cools it will deflate a bit. But don’t worry it is perfectly fine. Then pop it into the refrigerator for 1 hour before cutting. 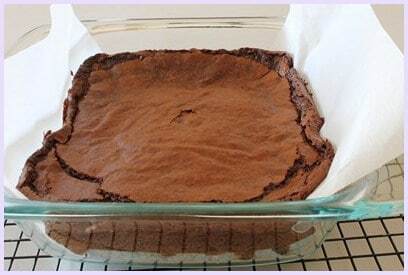 Then remove brownie out of the pan with the help of parchment paper. And cut them into 9 equal pieces or as per your desire size and serve. 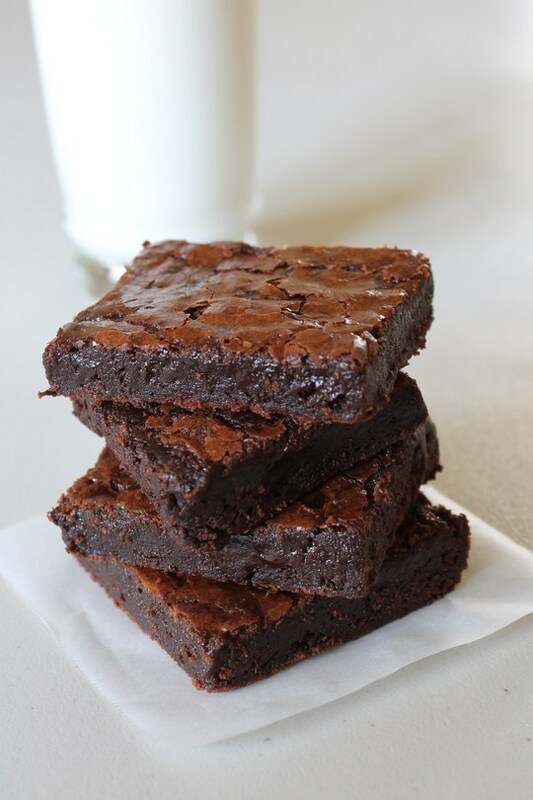 These brownies are delicious! My husband says that they taste just the same as brownies with eggs. A member of our family has an egg allergy. Finding great recipes like this one is always a treat. Hello Kanan, thank you the this wonderful recipe. I have baked this cake several times and have always been showered with compliments. Thanks again. Glad to hear that everyone liked.